Author Zion NefeshPosted on April 20, 2009 February 11, 2010 Categories ExodusTags Torah1 Comment on Mishpatim – 5768 – Slavery or Freedom? What is your choice? 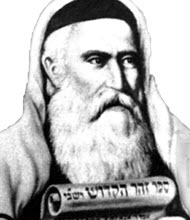 Author Zion NefeshPosted on April 20, 2009 Categories ExodusTags TorahLeave a comment on Pekudei – Who built the Tabernacle? Author Zion NefeshPosted on April 20, 2009 Categories ExodusTags TorahLeave a comment on Ki Tisa – Holy Smoke – Stop the anger! Author Zion NefeshPosted on April 20, 2009 Categories ExodusTags Torah4 Comments on Beshalach – Why are you crying out to me?